Lip Sync Battle Philippines premiered with a bang last Saturday, February 27, 2016. The US show franchise made its debut on Philippine television with a bang as it was the top trending topic on Twitter not only locally but worldwide. The first performers to battle it out were Kapuso Drama King, Dennis Trillo and Kapuso Hunk, Tom Rodriguez. One of the highlights of the show was Romantic Comedy Queen, Jennylyn Mercado's surprise appearance as she walked and danced on stage alongside Dennis Trillo in the first round of the competition. This is Jennylyn and Dennis's first time to be seen on again together onscreen after their hit drama series, My Faithful Husband ended late last year. Jennylyn may be Dennis's lucky charm as he was named the first winner of Lip Sync Battle Philippines. The RomCom sensation, Jennylyn Mercado welcomes YES! Magazine to her new home in Quezon City. In the March 2016 issue of the No. 1 entertainment magazine, she shares her thoughts about her new found career in the romantic comedy genre, her life as single mom to Alex Jazz, and of course the current state of her love life. Jennylyn is on the roll nowadays with one movie after the other. In just a span of two years, she's managed to deliver three blockbuster hit movies such as English Only Please with Derek Ramsay, The PreNup with Sam Milby, and #WalangForever with Jericho Rosales. Now, she's busy working with her ultimate crush and dream leading man, John Lloyd Cruz for the movie Just The 3 Of Us under Star Cinema. In the past year alone, Jennylyn completed two movies, two televesion soap operas, a solo Valentine concert, and a string of product endorsements. This is one exciting movie teamup for the summer! 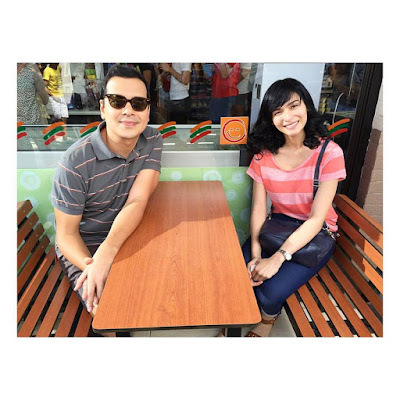 John Lloyd Cruz and Jennylyn Mercado in "Just The 3 Of Us." In the film, Jennylyn is Aqui, a girl with a huge crush on Uno (John Lloyd). Both will face an unpleasant situation which will leave them with no choice but to live together. Directed by Cathy Garcia-Molina, "Just The 3 Of Us" is coming soon in cinemas! Two time Metro Manila Film Festival Best Actress, Jennylyn Mercado is head over heels as she is paired anew with another Kapamilya actor, the one and only John Lloyd Cruz. This is a dream come true for the Kapuso actress who is admittedly a fan of her new leading man. This is the first time that the two multi-awarded actors team up for a movie. This is also Jennylyn's first time to work with ABS-CBN's film outfit. Both have proven to have chemistry to any actor or actress paired with them as well as to deliver when it comes to box office. The cameras have started rolling for this Cathy Garcia Molina film under Star Cinema. The film is still untitled but it is set to be released later this March. #WalangForever will hit US and Cananda theaters this February 19! The much awaited international screening of Metro Manila Film Festival 2015's most awarded film is finally happening! A certified local box office hit, #WalangForever kicks off it's screening abroad in the United States of America and Canada. Get ready to burst into tears and laughter and of course, fall in love. ‪#‎WalangForever‬ opens in cinemas in the US and Canada on February 19.